Action: Airbus Broughton v Denbigh Town. Airbus Broughton will virtually clinch the Huw’s Gray Alliance title with a home win against Holyhead Hotspur this afternoon (Saturday). Victory against bottom club Holyhead would take the Airbus pints tally to 67 points – and that’s the maximum total second-placed Flint Town United can achieve. The leaders will have three matches left after their clash with Holyhead and they have a goal difference of plus 39 against Flint’s plus 23. Only two games survived the bad weather as Airbus Broughton increased their lead at the top of the table to 12 points with a 3-2 win against Denbigh Town at Maes Tegid. “It was a professional performance in horrendous conditions,” said Airbus assistant manager Andy Thomas. “It was probably the worst weather I’ve ever seen a game played in and credit to both sets of players for producing a really committed performance, because the wind had such a big impact on the game. Denbigh took an early lead with a Kristian Pierce penalty, but by half-time Asa Hamilton and Nathan Woolfe had put Airbus ahead, Hamilton added a third for the Airmen nine minutes into the second half with Pierce netting his second for Denbigh after 78 minutes. Results: Holyhead Hotspur 2, Denbigh Town 1; Prestatyn Town 6, Bangor City 2. 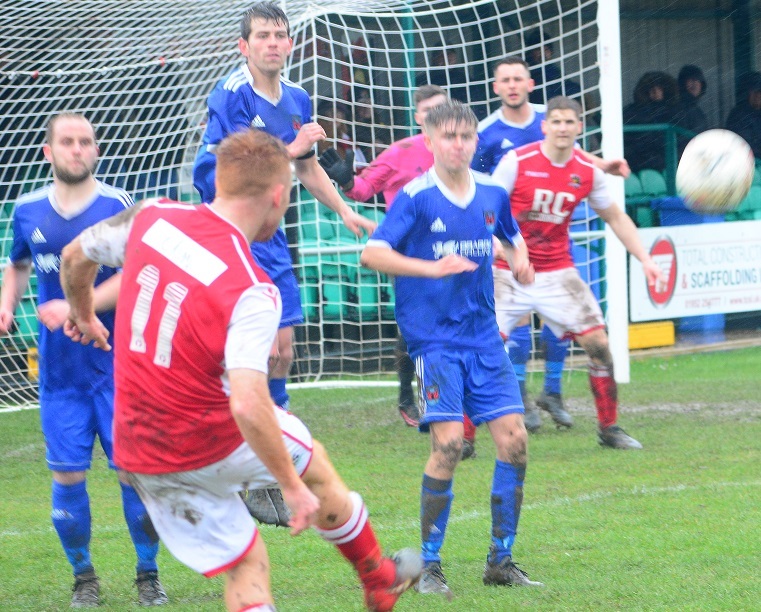 Fixtures on Saturday: Airbus Broughton v Holywell Town, Buckley Town v Flint Town United, Conwy Borough v Llanrhaeadr YM, Guilsfield v Rhyl, Porthmadog v Gresford Athletic, Ruthin Town v Penrhyncoch.